Katrina Coleman is a comic and producer. 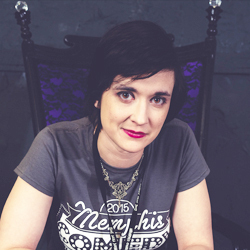 She was the founding president of the Memphis Comedy Festival, and co-created and produces the wildly popular You Look Like show, currently in production as a webseries directed by Craig Brewer. Katrina is also an advocate for domestic abuse survivors and working to make Memphis better one inappropriate joke at a time.